Submitted 3 weeks 6 days ago by feeds user. When you're hunting wide-open spaces, the all-new SX-2 Kenai™ is a High-Definition spotting scope at an appealing price. With a premium, 80mm objective lens, the SX-2 Kenai delivers generous light transmission and provides a sharp, clear picture with impeccable color reproduction. 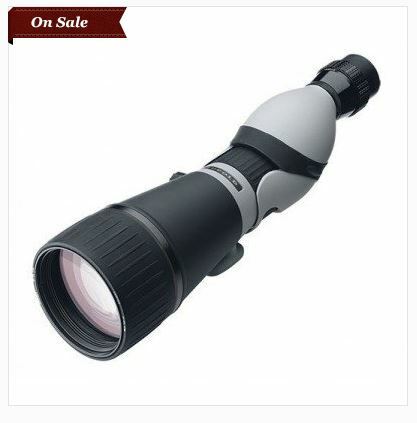 The 25x - 60x eyepiece is right at home targeting big game across open prairie or spotting varmints at long range. Inside the magnesium body, BAK4 prisms and fully multi-coated lenses work to provide unparalleled light transmission, edge-to-edge resolution, and definition. The new SX-2 Kenai HD spotting scope is built for the long haul. With this kit you get a reinforced hard-shell carrying case as well as a soft scope case. The compact adjustable tripod is lightweight with a multi-directional, tilting head. Segmented and adjustable legs keep it level in uneven ground, and non-slip feet keep it firmly grounded. Index Matched Lens System High Definition - Look for extremely vivid color, life-like clarity, and higher overall performance thanks to the calcium-fluoride lenses. Another added advantage of these non-lead based lenses is that they’re lighter in weight. Synergy Built binoculars and spotting scopes bring together every aspect of design, sourcing, engineering, production, and quality control into a cohesive unit. Smooth Focusing Twist Up Eyecups Tripod Ready Retractable Lens Shade Balanced Design (Kenai) 100% Waterproof and Fog Proof ** BLEMISHED products may or may not include accessories.